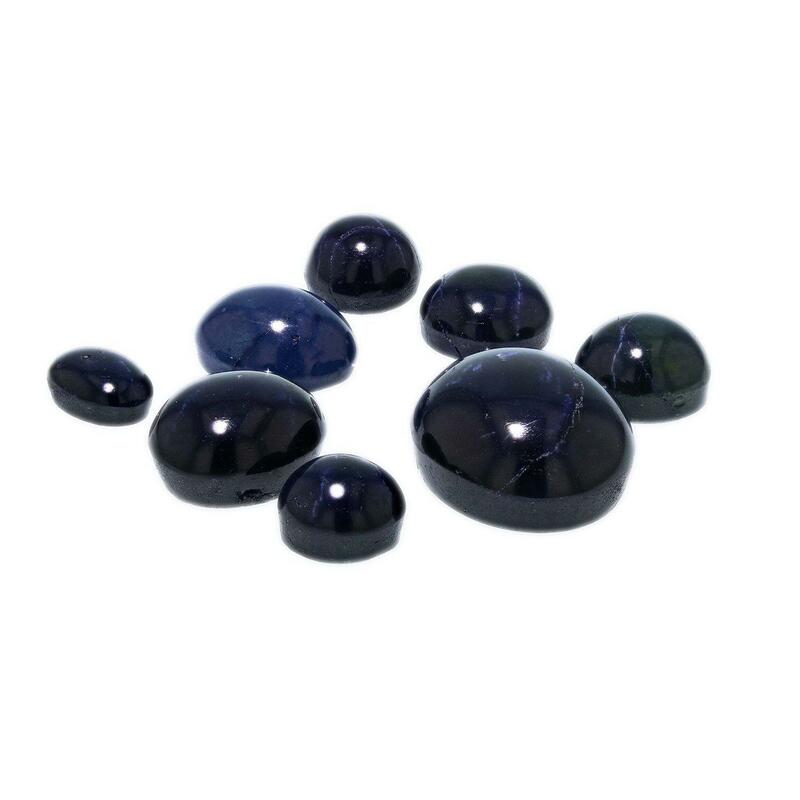 Numerous cabochon shape natural Star Sapphires of mixed sizes, minimum total weight 40.00ct. (approx. ), dark blue color, cut is good. Each stone has a six ray star with strong intensity and good movement. Transmitting light very diffusely, opaque. Naturally occurring internal & external characteristics are present. Indications of laboratory high temperature diffusion treatment. Color grade is an average for the group.